Thomas Merton's lectures to the young monastics at the Abbey of Gethsemani provide a good look at Merton the scholar. A Course in Christian Mysticism gathers together, for the first time, the best of these talks into a spiritual, historical, and theological survey of Christian mysticism—from St. John's gospel to St. John of the Cross. Sixteen centuries are covered over thirteen lectures. A general introduction sets the scene for when and how the talks were prepared and for the perennial themes one finds in them, making them relevant for spiritual seekers today. This compact volume allows anyone to learn from one of the twentieth century's greatest Catholic spiritual teachers. The study materials at the back of the book, including additional primary source readings and thoughtful questions for reflection and discussion, make this an essential text for any student of Christian mysticism. Jon M. Sweeney is an independent scholar, author, critic, and publisher. His books include The Pope Who Quit: A True Medieval Tale of Mystery, Death, and Salvation, Inventing Hell, and several books on Saint Francis. He is a regular contributor to America and The Tablet. Jon is the publisher and editor-in-chief at Paraclete Press. He is married and the father of three, and lives in Milwaukee, Wisconsin. "A fresh, engaging, and accessible course on Christian mysticism from a genuine Christian mystic—this book is a treasure. 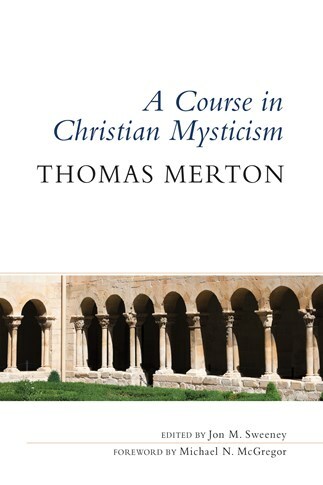 In his impressive synthesis, Jon M. Sweeney has made some of Thomas Merton's best lectures on some of the greatest Christian mystics available to everyone."